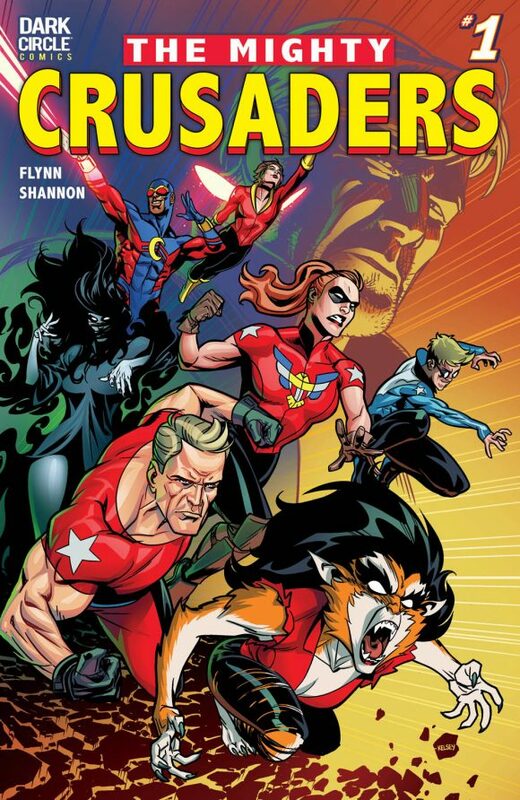 The first issue of Archie/Dark Circle’s Mighty Crusaders revamp is coming 12/6 from writer Ian Flynn, artist Kelsey Shannon and colorist Matt Herms. 1. The Broken Shield. Joe Higgins has been fighting evil as the Shield since WWII, but time and battle have taken their toll. Now he runs the M.L.J., the government body responsible for the Mighty Crusaders. 2. Did You Know? 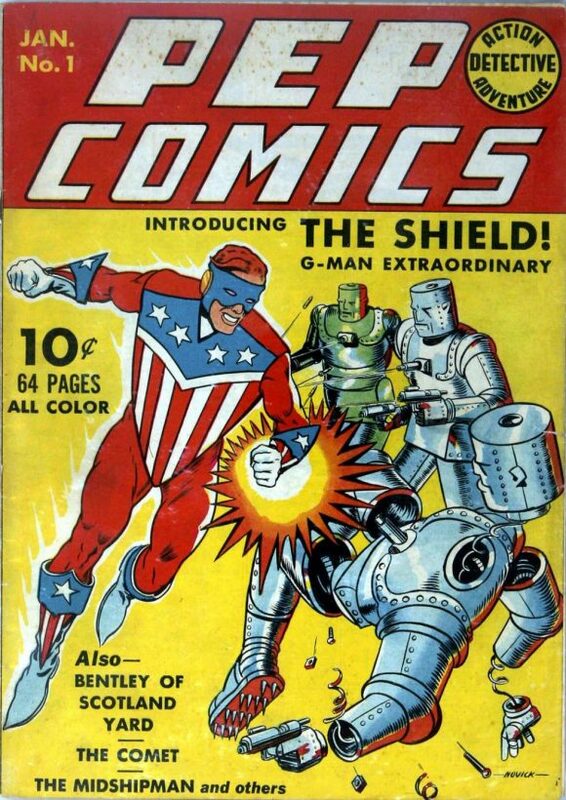 The Shield appeared in Pep Comics #1 back in January 1940, making him the very first super-science empowered patriotic superhero. 3. The Original Shield. 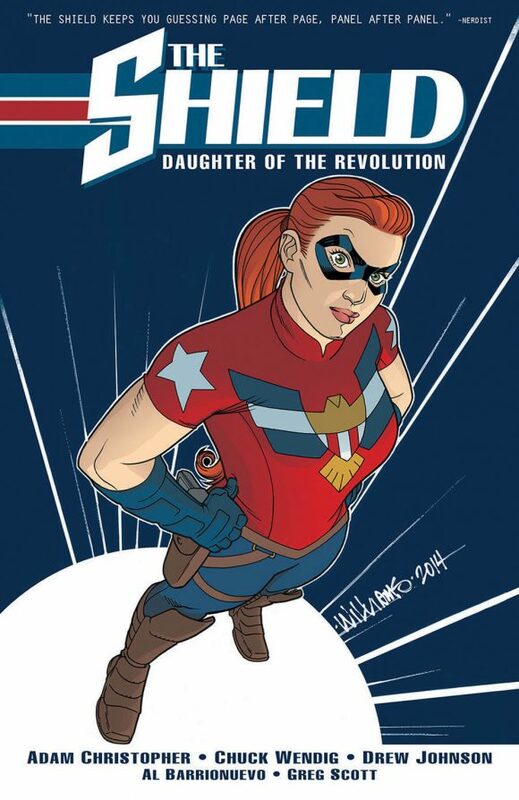 Victoria Adams has been protecting America since 1776 and inspired the creation of Joe Higgins’s Shield persona. But why does she look like she’s still in her 20s? It’s a mystery even she doesn’t know the answer to. 4. Did You Know? John Dickering, the original Comet, gained his super-powers by experimenting on himself. In addition to protecting the Earth, he saved the alien world of Altrox from robot conquerors. 5. The Comet. Greg Reeves studied under John Dickering, a close friend of Greg’s uncle. Greg briefly led the New Crusaders in a short, but brutal, tour of duty to bring down the Brain Emperor. He’s since stepped aside and given leadership of the team to Shield. 6. Did You Know? Ralph Hardy, the original Jaguar, gained his powers via the jet-boosted Belt of Varigon. This mystical item was part of a long-lost five-piece set. 7. The Jaguar. Ivette “Ivy” Velez was orphaned at a young age, and was a protégé of Ralph Hardy. He entrusted her with the Helmet of Ai Apaec, which housed a savage and brutal spirit. The timid Ivy has had to struggle to not only control the powers bestowed upon her, but to hold onto her humanity. 8. Did You Know? 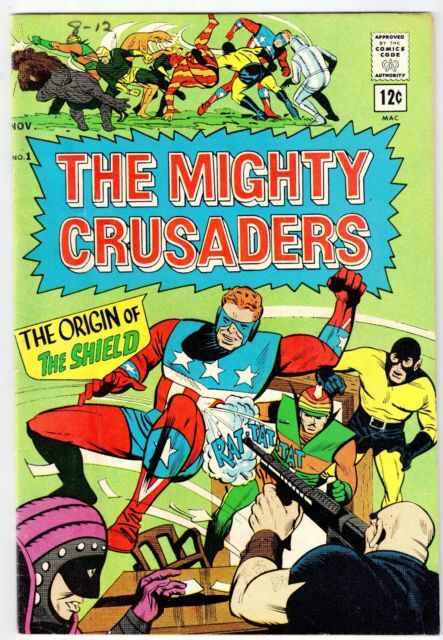 Despite many of the heroes appearing as early as the 1940s, the Mighty Crusaders didn’t officially come together as a team until 1965. They’ve had many incarnations since then, the latest being the New Crusaders in 2012. 9. Steel Sterling. John Sterling has had an eventful life: a professional body-builder, movie star, superhero, town mayor, husband and father. 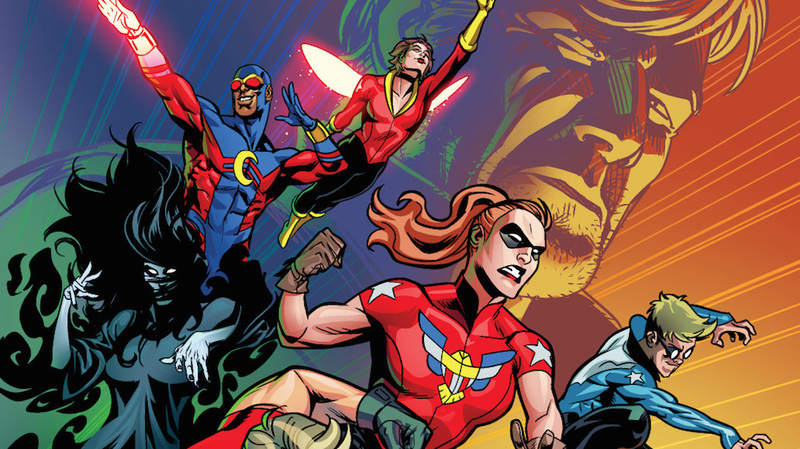 Now he’s back with the Mighty Crusaders, helping to bring together a team of veterans and new heroes alike. 10. Did You Know? Kim Brand, a.k.a. Fly Girl, debuted in July of 1961. 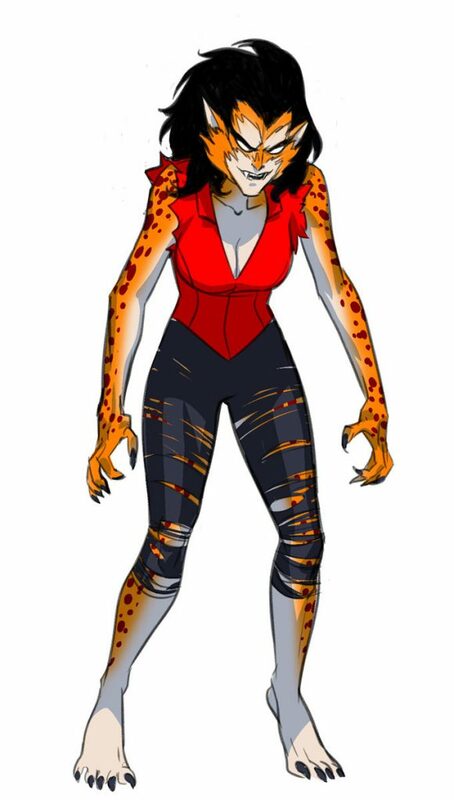 She still exists in The Mighty Crusaders, but with a new, yet-to-be-revealed origin. 11. Firefly. Kelly Brand is virtually super-hero royalty. Her father was the hero Fireball, and her mother the heroine Fly Girl. With a combination of their powers, Firefly is one of the most powerful members of the team – and she knows it. And she’ll make sure everyone else does too. 12. Did You Know? 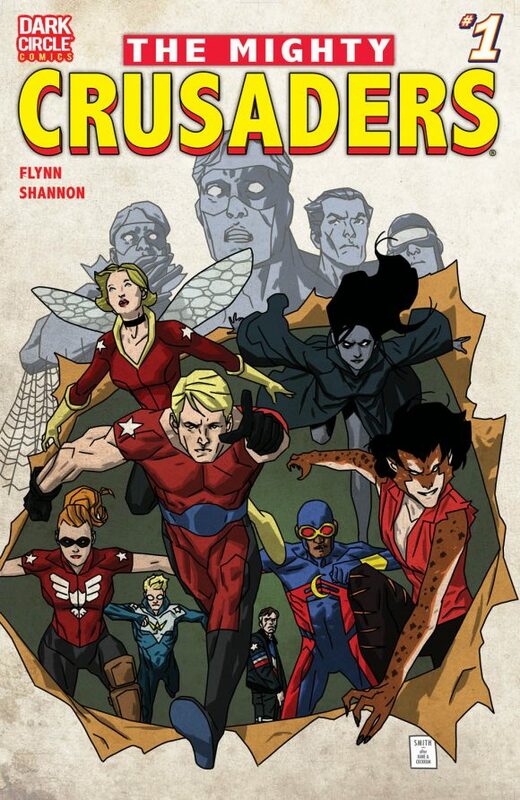 The Mighty Crusaders of today will be both familiar and brand new to fans of the series. Some origins have been rewritten, some events in the past have played out differently. Veteran or initiate, this series is a new experience for everyone! 13. Darkling. 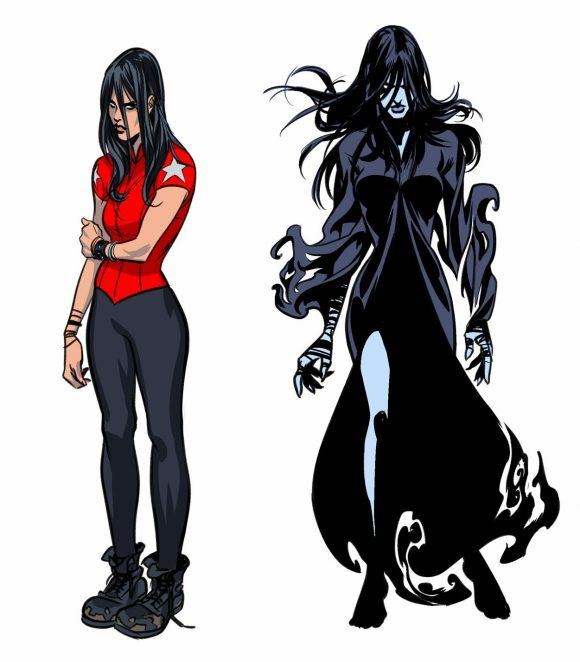 Nobody really knows much about the shadow-bending woman. Joe put her on the team, but no one knows why. She doesn’t hang out, or talk with, anyone else. No one is even quite sure what her powers actually are. Can she even be trusted…? NEW ONGOING SERIES! “Back in the Saddle” – The mightiest team of superheroes is back! A throwdown with a prehistoric terror in the heart of Washington, D.C., sets the stage for the dramatic return of a wayward hero! Meanwhile, half a world away, a sinister plan begins to awaken an ancient evil! MORE: For 13 COVERS: The Best of the MIGHTY CRUSADERS — as selected by series artist Kelsey Shannon — click here. So…This has absotively nothing to do with the Impact! Comics characters then. Legally, it can’t. DC owns all rights to the Impact version of the Crusaders. Archie’s version has deep historic roots, but Impact’s take has to remain separate. I just wish we could forget “Dark” Circle ever happened and get back to something more like a mainstream superhero comic. It’s obvious what ACP was aiming for with dark supers like Black Hood and Hangman, but let’s get back to the daylight side of things. I enjoyed Ian’s New Crusaders, so I’m hoping this isn’t too far off from that take, with the exception of employing a more mainstream art style. Here’s hoping the imprint is the only thing dark about it. And while I’m thinking about it, shouldn’t The Fox be on this team as well? I would prefer to see the Crusaders from the 60s or 80s. Nothing wrong with simply bringing them into modern times. Plus I do not like the uniform redesigns. Sometimes you should simply leave things alone. I have met Ian Flynn and even interviewed him, I acknowledge his strong feelings for the Crusaders, I just do not agree with the revisioned concept. What happened to the Fly, Web, Hangman, Black Hood, and the Fox?